Delicious as breakfast, snack, or dessert! 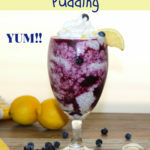 We created the Blueberry Chia Seed Pudding recipe from another one our favorite recipes. The Banana Chia Seed Pudding with Raspberry Sauce, but no bananas. We also added the blueberry sauce. 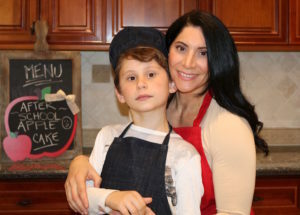 This recipe was really fun for us to make. It was breakfast time, and Brody and I were deciding what to make for breakfast. After throwing around a few ideas, we wanted yummy Brioche french toast with a blueberry sauce. 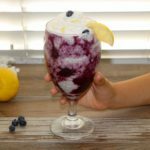 This recipe was so quick to put together, adding maple syrup to the blueberries instead of sugar for the sauce. Although this was created for a breakfast, we chose to leave it as is for the Blueberry Chia Seed Pudding. 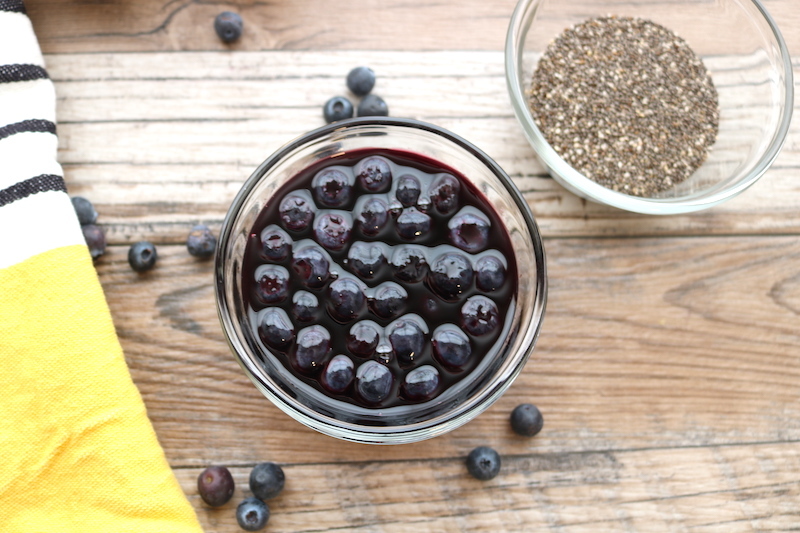 It doesn’t taste like syrup, and the consistency is thinner with this blueberry sauce recipe. The chia seed pudding is thick, so it made a nice balance between the two. Then add the chia seeds to the coconut mixture, and stir scooping from the bottom making sure mixed well. Refrigerate about 4 hours until chilled, and a pudding consistency. 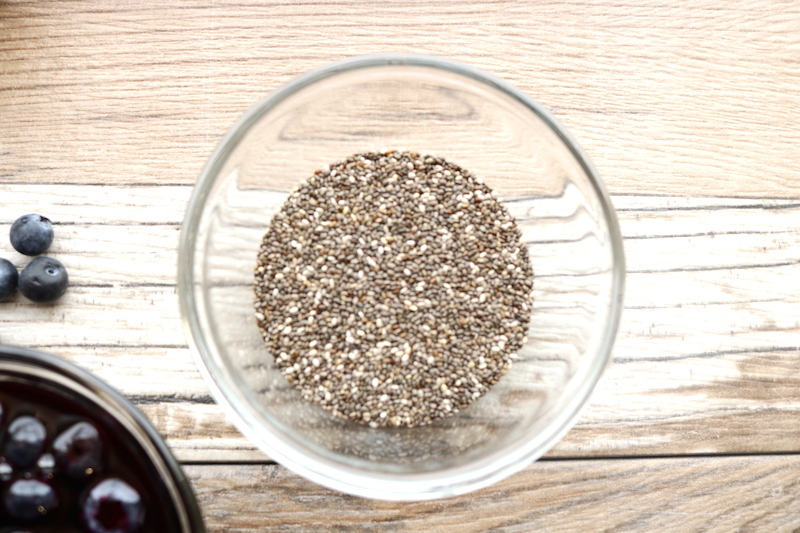 Once chilled remove from refrigerator, and pour chia seed pudding into your favorite glass leaving 1 inch from the stop. 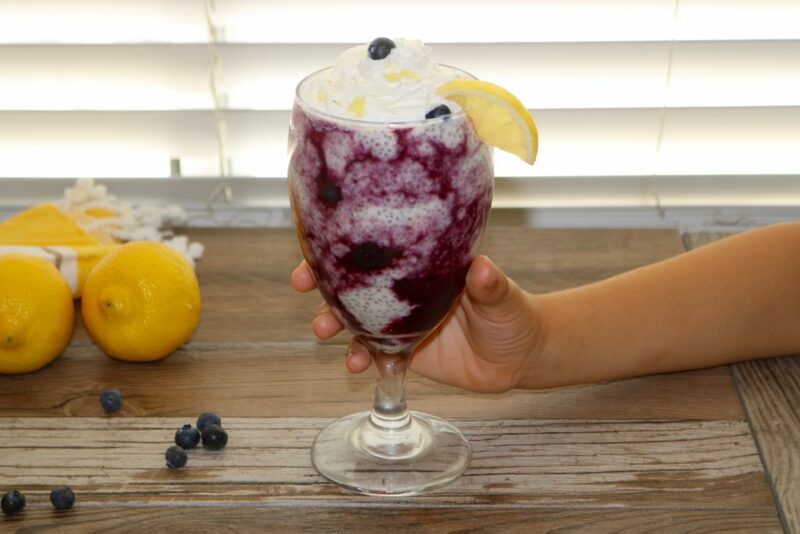 Next spoon the blueberry sauce in the chia seed pudding letting it run down the inside of the glass. It will make a fun design. Add the whipped cream, and lemon zest to the top.